Welcome to Go 2 Pass Driving School Cheetham Hill – offering driving lessons in Cheetham Hill and all Surrounding Areas. 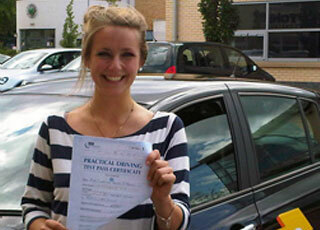 We provide professional, reliable driving lessons service in Cheetham Hill. With experience in guiding people from all backgrounds through to a successful practical test, our 80% first time pass rate speaks for itself. If you’re looking for a friendly team of male and female driving instructors in Cheetham Hill that can help you pass your test then we ‘re sure we can meet your needs. Our ethic lies in effective, enjoyable teaching that will support you as an individual learner driver. Practical advice alongside first hand driving experience is our tried and tested method of getting you driving like a professional. For driving lessons Cheetham Hill, or an informal chat get in touch now. The students who have already learnt with us show our ability to achieve a successful test result within a surprisingly short period of lessons. It depends on the individual as to how fast you feel able to progress, but it is our experience that our high quality teaching methods lead to a satisfying test result in a short time. Every driving lesson represents our competent service, where our male and female Cheetham Hill-based driving instructors offer the best of their knowledge to those training with us. If you are looking for a patient, kind group of instructors who understand your driving worries and appreciate that the whole experience can be a bit daunting, then look no further. We know what its like starting a new skill, and have developed practice methods specifically designed as assailing these concerns. Wherever you may have already practiced driving lessons with family and friends, you can guarantee we will take you to all the known test routes so you’re fully prepared. By the time you take your test, you will feel like an expert yourself at all the local driving school hot spots. Practising your new skills in a variety of quiet and busy, small and large roads means you gather a wide range of experiences. Driving out on the roads in the rest of the country can present numerous challenges, and it is our aim to give you the ability to tackle these with safe, tested methods. We have found this to give our students a confidence in their driving once they pass their test and head out onto roads further afield. Along with books and CDs you may have already purchased or be considering to help learn the information needed for your theory test, our driving instructors offer a wealth of knowledge that can only come from years of tuition in the local area. We will give you handy pointers at every step, teaching you to recognise signs and signals yourself so you are prepared for the test. We keep up to date with any changes in regulation and testing, so you can be safe in the knowledge that our driving school is always ahead of the game. If you’re thinking about starting the process, use the official government website to apply for your provisional licence, which is a necessity for new drivers. Once you have this you can begin trying out your skills on the road, and that’s where our Cheetham Hill driving school will bring driving lessons to life. Some students are surprised how enjoyable we can make the lessons, but we know from our pass rate that we can also deliver the necessary material in an informative and effective lesson plan. Let us help you structure you learning to match your existing timetable, as we appreciate fitting in a new commitment can sometimes be difficult. We have high standards and expect that you will too. We attract eager students looking for a straightforward and successful driving school, and that’s exactly what we provide. 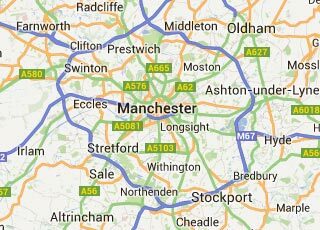 For Driving instructors, Driving schools and Driving lessons Cheetham Hill and all surrounding areas.